Amaluna from Cirque du Soleil features a 70 percent female cast. The following content is created in consultation with Cirque du Soleil. It does not reflect the work or opinions of NBC BAY AREA's editorial staff. To learn more, visit Cirquedusoleil.com/amaluna. Cirque du Soleil is no stranger to daring performances. Since 1984, the Montreal-based company has dazzled audiences around the world with their soaring and spectacular Big Top productions. But for their latest spectacle, they're heading into truly unchartered territory. Shakespeare. William Shakespeare. Amaluna from Cirque du Soleil is based on Shakespeare's The Tempest and will make its Bay Area debut on November 13 at AT&T Park before moving to Taylor Street Bridge in San Jose beginning January 22, 2014. Directed by Tony Award winner Diane Paulus, Amaluna invites audiences to a mysterious island governed by Goddesses and guided by the cycles of the moon. Comprised of a 70 percent female cast and featuring an all female band, Amaluna--Cirque du Soleil's 32nd production--is a first for the revered company. But audiences can still expect to see all the artistry and athleticism they've come to expect from a company that continues to outdo itself. "Amaluna is a tribute to the work and voice of women," explains Director of Creation Fernand Rinville. "The show is a reflection on balance from a women's perspective," he adds. 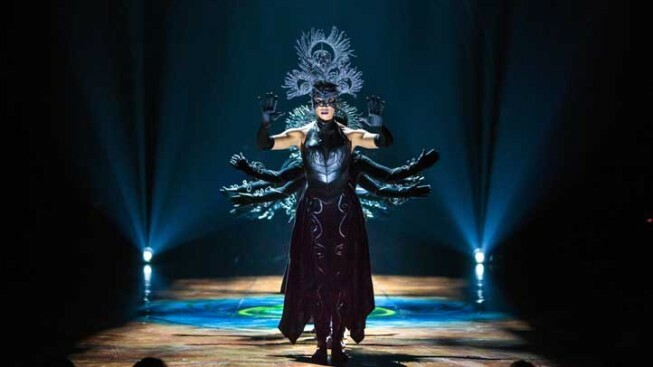 Says Director Diane Paulus, "Amaluna is less about feminism and more about reconnecting to our world in a different way." Don't miss out on the excitement by ordering your tickets to the San Francisco or San Jose engagements, on sale now at Cirquedusoleil.com/amaluna.